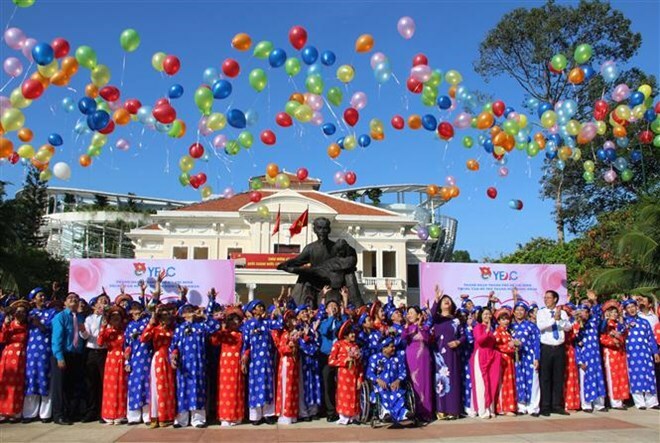 A collective wedding was held for 100 couples who are disadvantaged workers in Ho Chi Minh City by the municipal youth union on September 2. The wedding is an annual activity on the occasion of the National Day (September 2). It is a solution to care for the life of the young workers, especially those living in difficulties. After 11 years, the mass wedding was arranged for 822 couples. On the day, the couples, in traditional wedding costumes, participated in a parade along major streets of the city and a ceremony to pay tribute to President Ho Chi Minh. They will have a chance to take part in a training course on home management skills and join a honeymoon trip to the country’s tourism destinations.